02 Apr 2019 --- The Ferrero Group has announced a definitive agreement pursuant to which it will acquire the cookie, fruit and fruit-flavored snack, ice cream cone and pie crust businesses from Kellogg Company for US$1.3 billion (or €1.16 billion at current exchange rates). These businesses generated sales of approximately US$900 million in 2018. Ferrero will acquire a strong portfolio of beloved brands in the cookie category, including the iconic brand Keebler, top selling on-the-go Famous Amos cookies, the premium family brand Mother’s, and Murray sugar free cookies, as well as Little Brownie Bakers, supplier of cookies to the Girl Scouts. Ferrero will also acquire the Kellogg fruit snacks business, including Stretch Island and Fruity Snacks along with Keebler’s ice cream cones and pie crust products. Ferrero beat out Hostess Brands for the cookie business, people familiar with the deal previously told CNBC. In 2018, these businesses recorded net sales of nearly US$900 million and operating profit of approximately US$75 million, including estimated indirect corporate expenses. Assuming the cash proceeds are used only to reduce outstanding debt, the transaction is expected to be less than 5 percent dilutive to Kellogg's projected 2019 currency-neutral adjusted earnings per share. Click to EnlargeFerrero will acquire a strong portfolio of beloved brands in the cookie category, including the iconic brand Keebler.Kellogg will retain the rest of its North America snacking businesses, including its crackers, salty snacks, wholesome snacks and toaster pastries brands. Today, North America is Ferrero’s second-largest market and a strategically important growth market for the Group. “Ferrero has been focused on expanding its presence in this key strategic and attractive market, and this acquisition will help Ferrero increase its overall footprint in North America and product offering in a highly complementary manner,” Lillian Marriner, Group Corporate Communications, Ferrero International S.A., tells FoodIngredientsFirst. She notes that the acquisition allows Ferrero to enter into the largest cookie market worldwide. 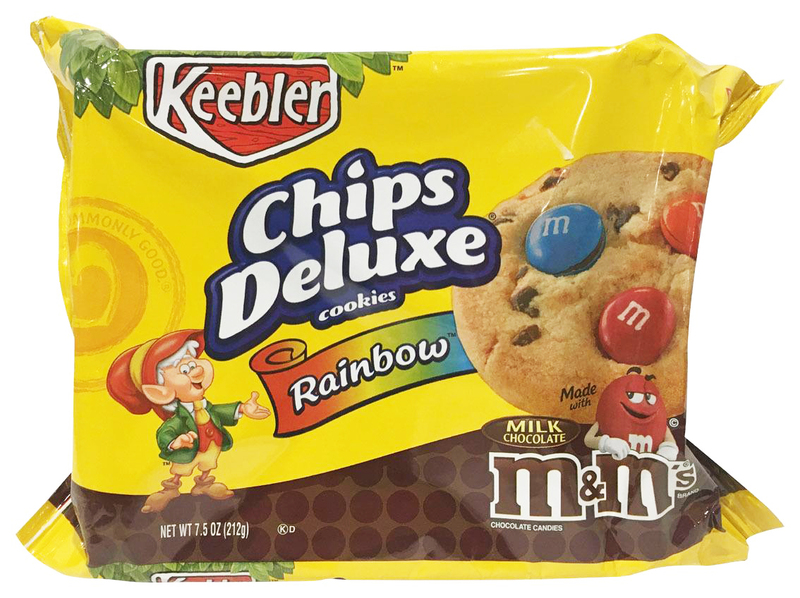 “Keebler’s brands are well positioned across attractive segments, with each brand holding a no. 1 or no. 2 position in its category. Ferrero sees a number of opportunities to drive growth, including developing new products in current and adjacent categories,” she explains. Italy-headquartered Ferrero is the third-largest company in the global chocolate confectionery market, with global sales of over US$12 billion, distribution across over 170 countries and a workforce of more than 30,000 people across 55 countries. Since 2017, Ferrero has acquired several US brands and businesses, and, with this transaction, Ferrero will enter into new strategic product categories and will further strengthen its position in the North American market. With these acquisitions, Ferrero is now the third-largest confectionery company in North America and continues to increase its overall footprint and product offering in this key strategic market. Within the move, Ferrero will also acquire from Kellogg six owned US food manufacturing facilities located across the country in Allyn, Washington, Augusta, Georgia, Florence and Louisville Kentucky, and two plants in Chicago, Illinois; as well as a leased manufacturing facility in Baltimore, Maryland. North America is an important growth market for the company. The Group plans to continue to expand its presence in North America through both organic growth (e.g., Tic Tac gum and Kinder Joy), product innovation and acquisitions. 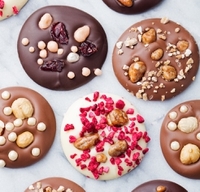 In terms of M&A, in early 2017 Ferrero acquired Fannie May Confections Brands, which, through its Fannie May and Harry London brands, provides offerings across key categories including chocolate bars, pralines and other snacks. 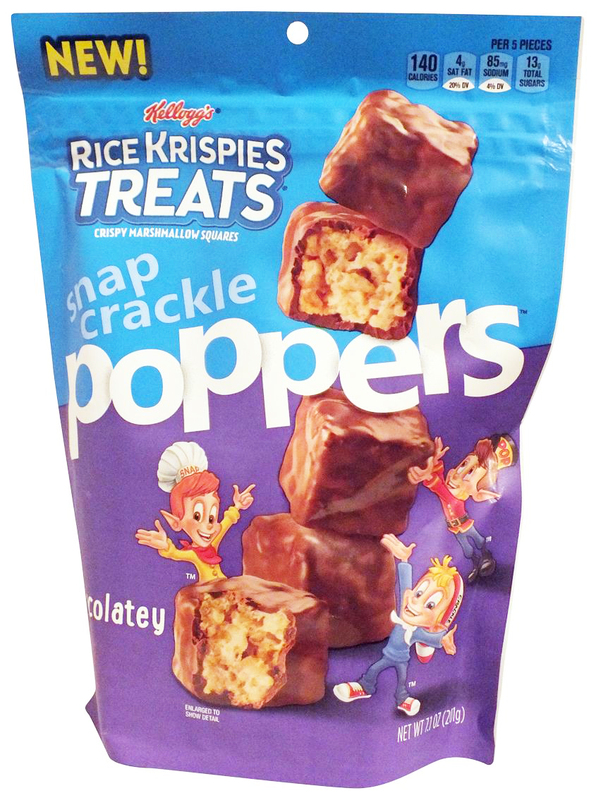 Click to EnlargeKellogg is paring back its portfolio to focus on brands it can revive, like Pringles, Cheez-Its and Rice Krispies Treats.In December 2017, Ferrero and related companies completed the acquisition of Ferrara Candy Company, then the third-largest US non-chocolate confectionery company. In April 2018, Ferrero and related companies acquired Nestlé’s US confectionery business, adding to its portfolio 20 American brands with a rich heritage and strong awareness. As a result, Ferrero added about 20 American brands to its portfolio, including well-known chocolate brands such as Butterfinger, Baby Ruth and Crunch, as well as non-chocolate brands such as SweeTarts, Nerds and Gobstopper. It has clearly succeeded in its plans to extend its US presence, becoming the number three confectionery company in the country after Mars and Hershey. “Our primary intention is to invest in the businesses acquired from Kellogg, capitalize on exciting new growth opportunities for these brands and make the integration process as seamless as possible. The transaction is expected to close in the second half of the year; it’s still early days,” says Marriner. “We are still developing our integration plans and we will be thoughtful and transparent in our decisions on how to proceed,” she notes. Last November, Kellogg announced that it was exploring the sale of its cookies and fruit snacks businesses to sharpen its focus on its core businesses, in a bid to make the company more agile. Investing in the areas of business with the highest growth opportunities is central to Kellogg's growth strategy. Kellogg is paring back its portfolio to focus on brands it can revive, like Pringles, Cheez-Its and Rice Krispies Treats. The US multinational food manufacturing giant is also implementing a significant change to its North American business designed to ensure that it has the right operating model and portfolio to deliver profitable growth in the years ahead. Speaking at the CAGNY conference in New York last February, Chris Hood, President North America, Kellogg Company, noted how the company is shifting investment to its power brands and promising challenger brands, as well as their intention to pursue the divestiture of the brands. The focus will be on a simpler, more focused portfolio, which will allow them to continue to prioritize investment beyond the focus brands. “We have a North American business that is starting to look substantially different than just a few years ago. From our reorganizational structure, to our go to market, to our portfolio, we’re investing in revitalizing power brands and expanding challenger brands and we’re enhancing capabilities that will make us more competitive in the marketplace and more efficient internally,” he says. Hood stressed that he believes that the company can return to organic net sales growth this year in 2019. “Even if only slight growth, this would be a great sign of progress for North America. We’re also not losing sight of our margins,” he notes. “We expect to offset the impact of investment and higher input costs with everything from revenue growth management to productivity initiatives to overhead discipline to operating leverage from improved top line and restoring margin in the on-the-go formats,” he concluded. The face of the North American confectionery industry has been changing in recent years, particularly reflecting Ferrero’s moves. Its presence in the US market was relatively modest initially, having first entered the market in 1969 with its iconic Tic Tac breath mints, followed by other international brands such as Ferrero Rocher pralines and Nutella hazelnut spread. In recent days, it has been reported that Mondelez International Inc. is in advanced talks to buy the international brands of US food company Campbell Soup Co. Mondelez is negotiating final terms of purchase of the business, which includes Australian cookie brand Arnott’s and Danish baked snacks maker Kelsen Group.